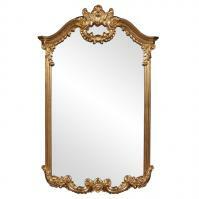 The baroque style of this mirror makes a magnificent addition to the room. 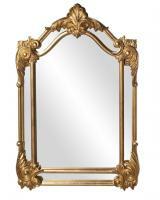 The ornate details of the design are enhanced by the antique gold leaf finish on the frame. 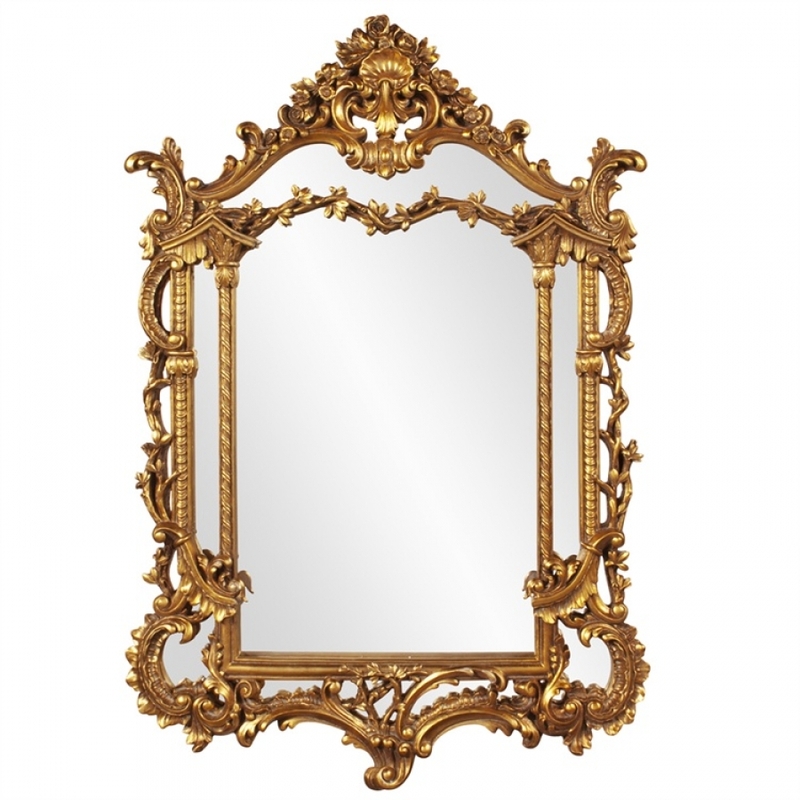 This rich and bright tone is a great complement to the reflective surface it surrounds. 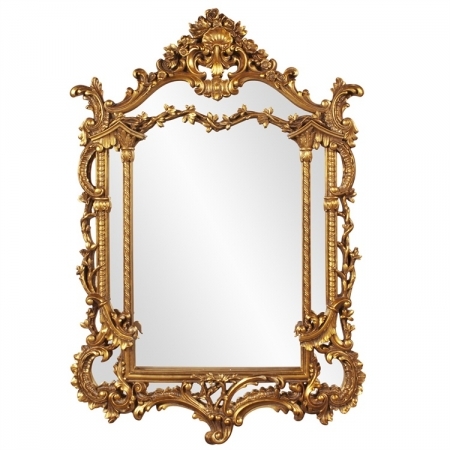 The mirror section forms a very unique shape from the frame and brings a nice area for personal viewing as well as natural light enhancement.